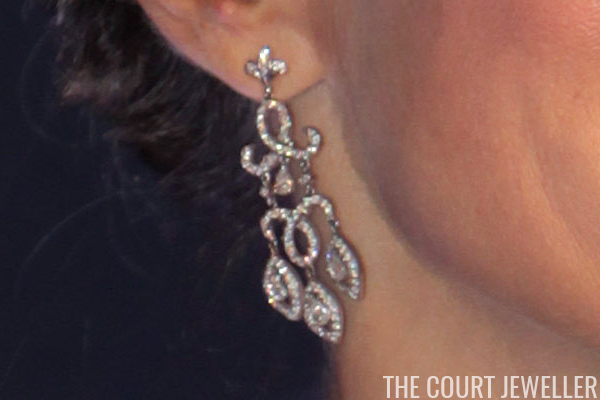 She wore two of the most sparkling pieces in her collection: diamond girandole earrings and a dramatic diamond bracelet. The earrings, seen in close-up here, are by Yanes. These have been in Letizia's collection for some time. 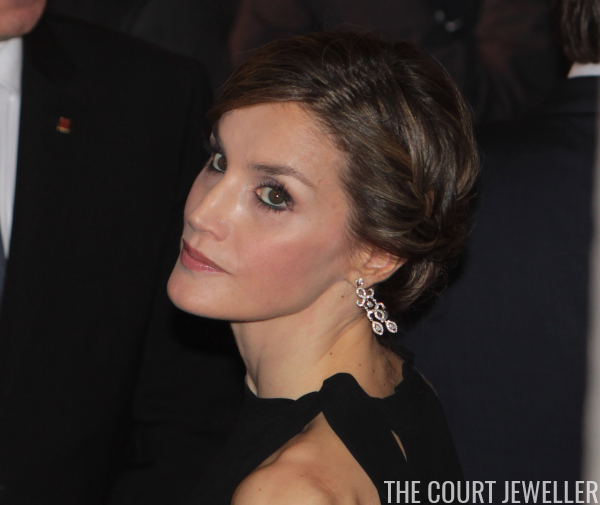 So has the diamond and white gold bracelet, which is by Cartier. Letizia almost always wears it high up on her forearm, as she did on this occasion. For those who are interested, here's a better look at Letizia's entire ensemble (and a glimpse at the always-handsome Felipe, of course).